Contains permethrin. 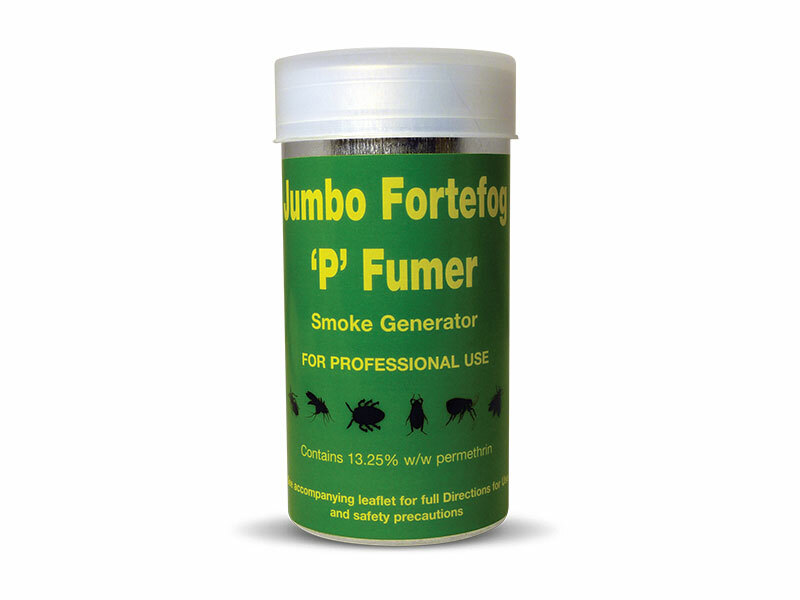 The Fortefog Jumbo Fumer has been designed for those really big jobs on the farm or in warehouses. One fumer will treat up to 4000 cubic metres.